Speaking here with my registered homeopath’s hat on; a wee addendum to the above allergy info. I had a patient with a very colicky, sick baby, turns out mum was eating lots of quorn, as in several times a week, once the quorn was stopped (in all forms) babe then recovered rapidly and started gaining weight. Just worth watching out for …. 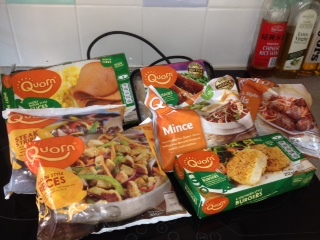 My husband has had a violent reaction to Quorn twice and it’s made him wuite unwell, although he’s not allergic or intolerant to anything else and can eat mushrooms, for instance, with no problems whatsoever. After finding all the mentions online of so many others with similar reactions to this product I believe the numbers affected are more significant than realised. I’d be very reluctant now to try it again and certainly wouldn’t advise anyone to give this to small children.